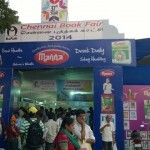 Hindu’s especially Vaishnavaites celebrate every year Vaikunda Ekadashi. The day is considered auspicious and devotees take up fasting on this day as a prayer to Lord Vishnu. Vaishnavism believes that Sorga Vasal (சொர்க வாசல்) meaning ‘the doorway to Lord’s Inner Sanctum’ is opened on this day to devotees. To mark this all Vishnu temples around the world have a specially marked (or temporarily erected) gateway as a symbol of the one in Heaven. 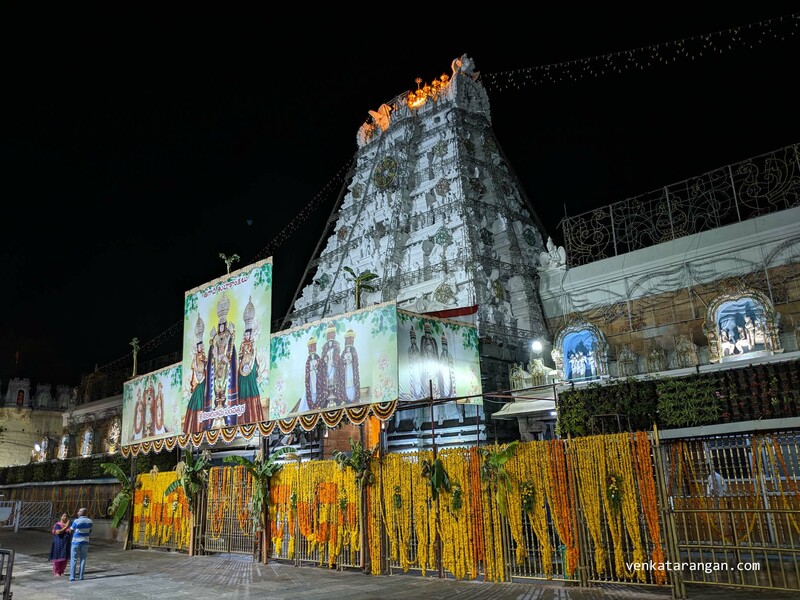 This festival is celebrated grandly at Tirupati and Sri Rangam temples. Every year our family, we go to near-by Sri Adi keshava perumal koil near govindan street, west mambalam. 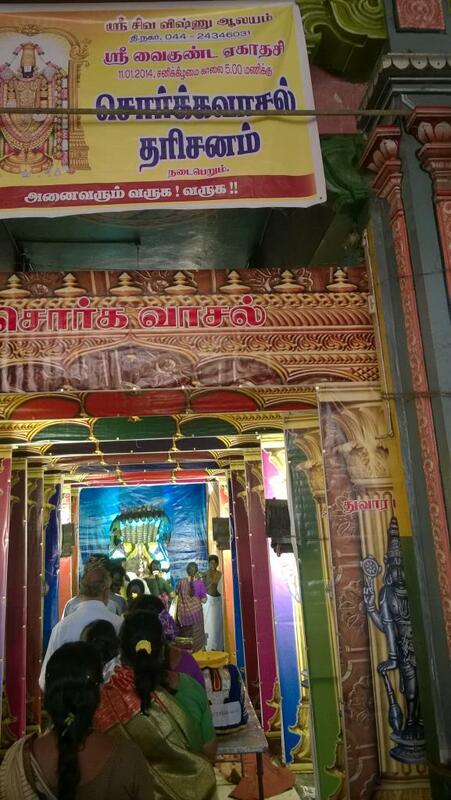 This is an ancient temple, told to be thousand years old and visited by Sri Ramanujar who has a sannidhi inside. Almost all other temples will be crowded with queues stretching for miles. 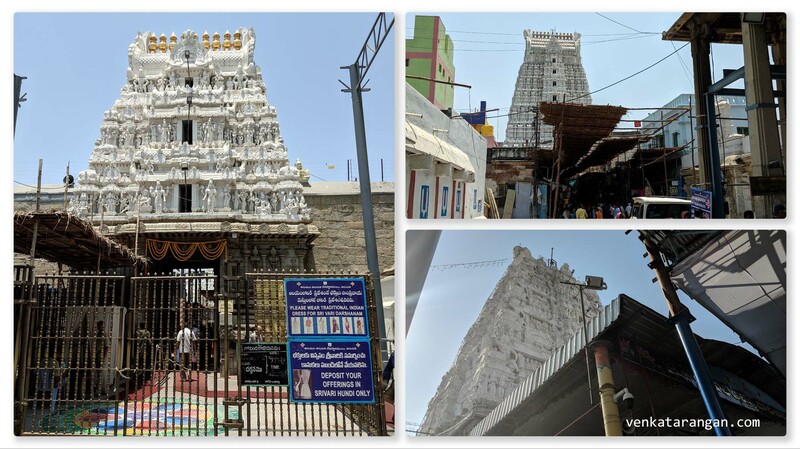 Today I decided to go to Sri Siva Vishnu Temple near T.Nagar bus terminus in Usman Road, the temple was looking good due to major renovation few years back. 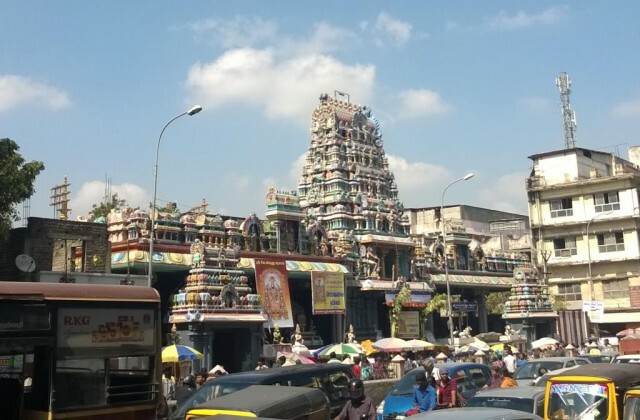 I am familiar with this temple, during my school days when my family lived in Ranganathan Street which was a stone’s throw, we used to frequent this temple on every occasion. 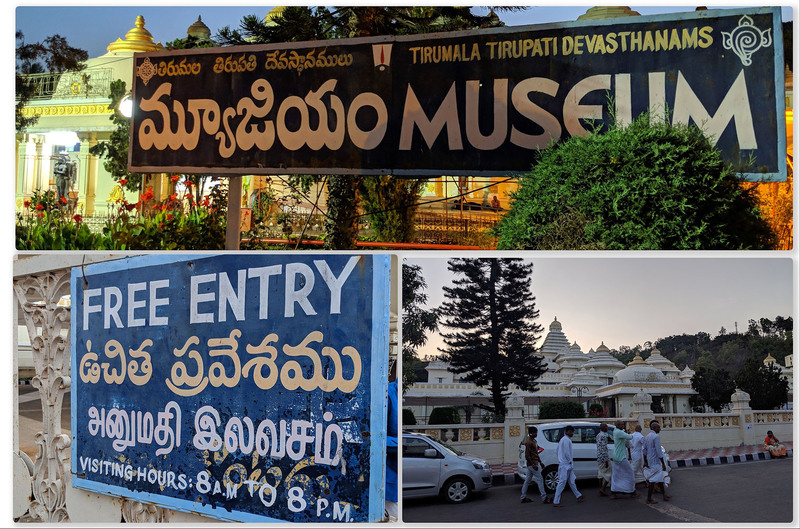 After moving from that area it has been more than 15 years since I visited Sri Siva Vishnu Temple, so today it was nostalgic going there. I recollected to my 10 year old son, how I as a boy of his age used to come to this temple often with my mother and she has told me numerous stories of god & goddesses there.